A parable for the new age of inequality: part family history, part detective story, part history of a vanishing class, and a vividly compelling exploration of the degree to which an inheritance—financial, cultural, genetic—conspired in one person's self-destruction. Land, houses, and money tumbled from one generation to the next on the eight-hundred-acre estate built by Scott's investment banker great-grandfather on Philadelphia's Main Line. There was an obligation to protect it, a license to enjoy it, a duty to pass it on—but it was impossible to know in advance how all that extraordinary good fortune might influence the choices made over a lifetime. 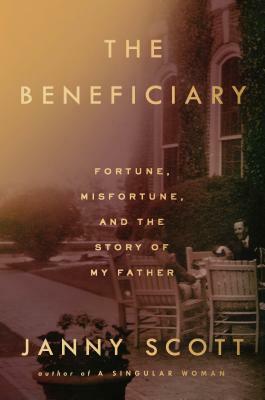 In this warmly felt tale of an American family's fortunes, journalist Janny Scott excavates the rarefied world that shaped her charming, unknowable father, Robert Montgomery Scott, and provides an incisive look at the weight of inheritance, the tenacity of addiction, and the power of buried secrets. Some beneficiaries flourished, like Scott's grandmother, Helen Hope Scott, a socialite and celebrated horsewoman said to have inspired Katherine Hepburn's character in the play and Academy Award-winning film The Philadelphia Story. For others, including the author's father, she concludes, the impact was more complex. Bringing her journalistic talents, light touch, and crystalline prose to this powerful story of a child's search to understand a parent's puzzling end, Scott also raises questions about our new Gilded Age. New fortunes are being amassed, new estates are being born. Does anyone wonder how it will all play out, one hundred years hence? Janny Scott is the author of A Singular Woman: The Untold Story of Barack Obama's Mother. She was a reporter for The New York Times from 1994 to 2009 and was a member of the Times reporting team that won the 2000 Pulitzer Prize for national reporting. Visit JannyScott.com to learn more.